Manchet is delighted to share the news of Mary Begley’s successful PhD viva. Mary’s thesis was on ‘The Middle English lexical field of INSANITY: Semantic change and conceptual metaphor’. The examiners – Nuria Yáñez Bouza and Kathryn Allan (UCL) were impressed, which suggests that Mary has done insanely well. Mary, who’s been with us since she was an undergraduate student, will be missed around here. Manchet wishes her all the best! 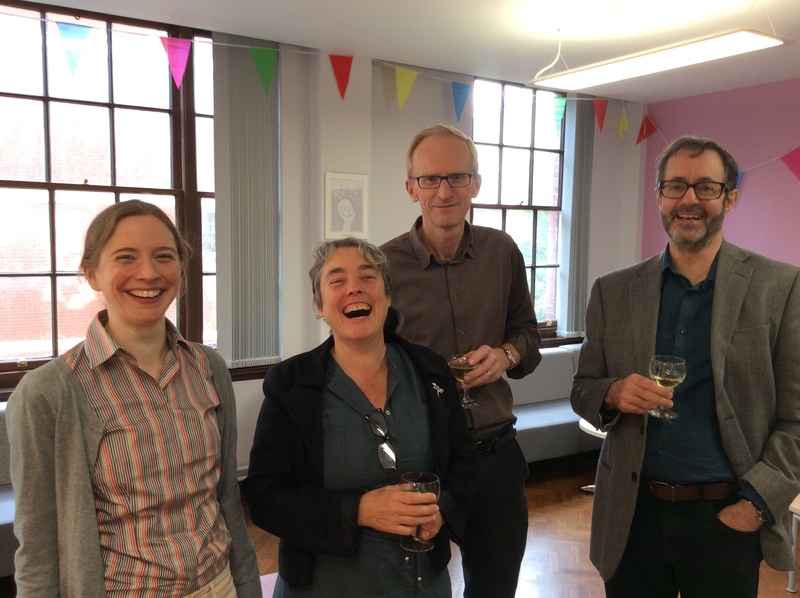 Featured image: Mary (deservedly happy with her achievement), and her supervisors: Tine Breban, David Matthews and David Denison.